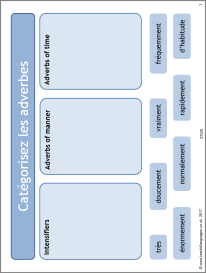 This PowerPoint revises different types of adverbs and includes a memory game. The worksheet offers a reading text on voluntary work and homelessness which contains lots of adverbs to spot. There is also a trapdoor speaking task. Answers are included.